Why should you bother? Using the same one everywhere can make you vulnerable if there’s a password or data leak on a site you regularly use. Remembering them can be tricky though. That’s where a dedicated password manager comes in. Rather than trying to recall dozens (if not hundreds) of passwords you can use the app to generate and organize them. If you need a little convincing, we’d encourage you to read up about good password practices over at How-To Geek. 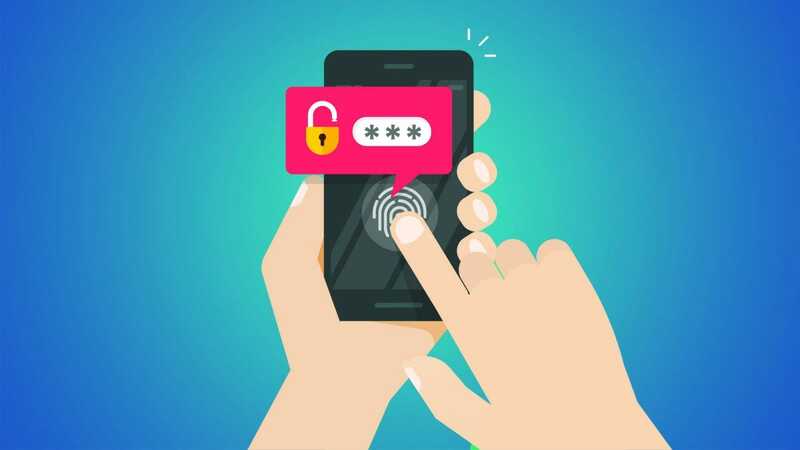 The following apps include an array of handy features that will help you in your password journey. 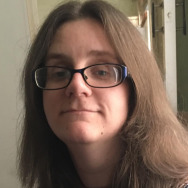 In addition to just keeping track of your passwords, many can also create extra strong passwords for you, saving you the effort of coming up with a complex string of characters by yourself. These apps will also work across multiple devices so you don’t need to worry when you switch between your smartphone and PC or Mac. They can be real time savers, as well as a great security measure to implement. Here’s our favorite password management apps. One of the biggest names in the business, LastPass does pretty much everything you could ask for. If you just want a rock solid password manager and you don’t even want to finish reading this article, just get it and be done with it. It’s available for Android, iOS, as well as Apple Watch, PC and Mac. 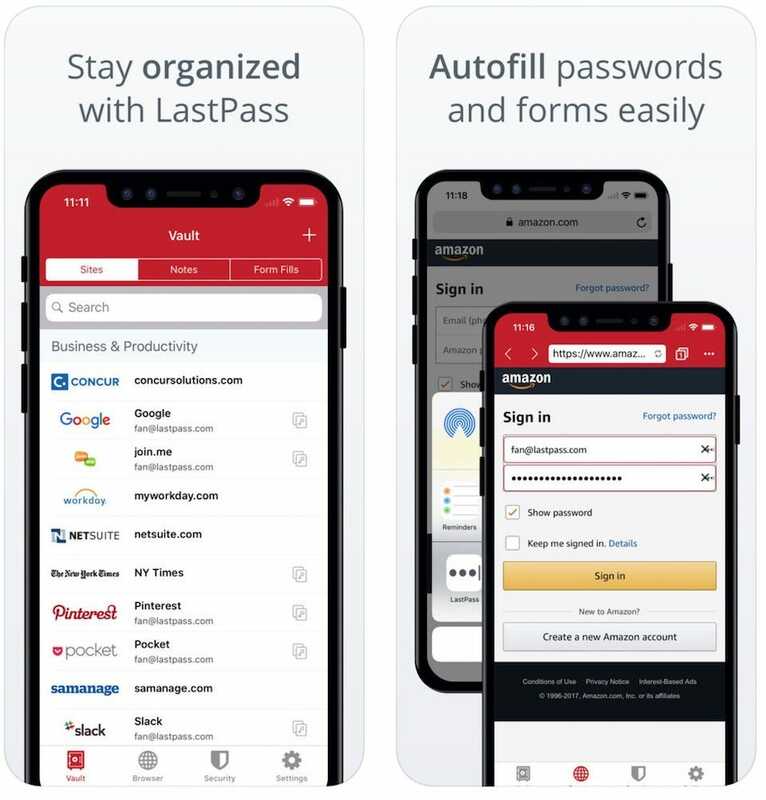 Through your devices, you can store all your usernames and passwords within the LastPass Vault, easily syncing them across everything you use. Access is restricted via passcode, TouchID, or FaceID, depending on the device you’re using it from. 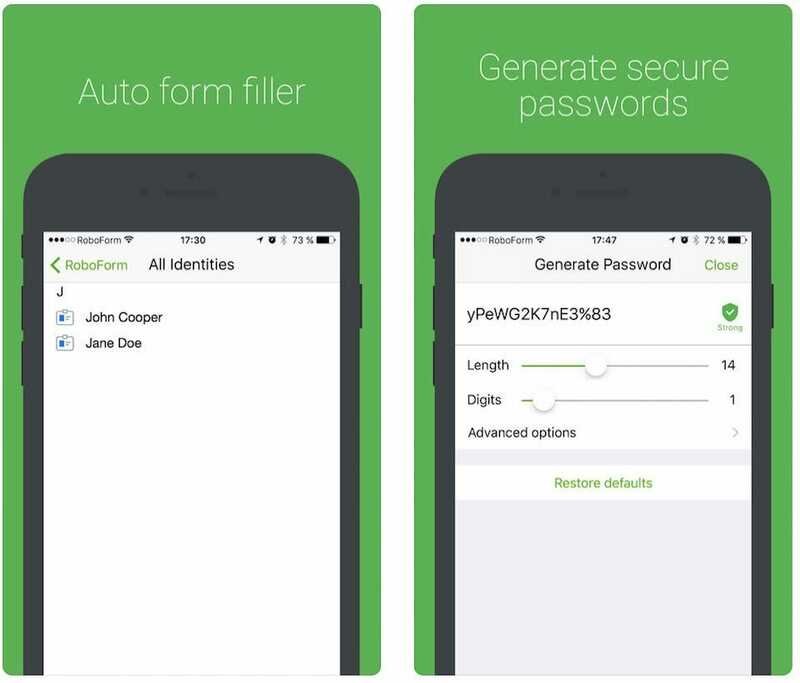 The app automatically fills in forms online for you, saving some precious time, plus there’s a powerful password generator so there’s no need to spend time thinking up a password for yourself. 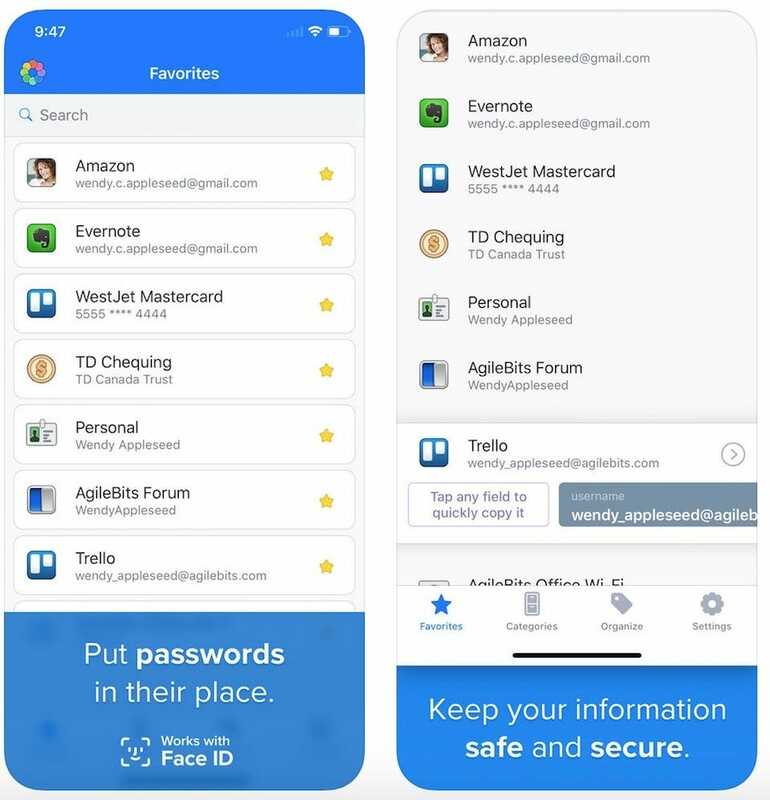 The bulk of the app is free with a Premium upgrade ($24 per year) to enable emergency access for loved ones, as well as the option to share passwords and log-ins with trusted friends or family. Don’t let the presence of a premium tier put you off from considering LastPass though—the feature set for free users is so feature rich and useful you may end up buying a Premium account out of guilt over getting so much for free. Dashlane offers a clearer and more straight forward interface than LastPass, but that doesn’t mean it scrimps on features. 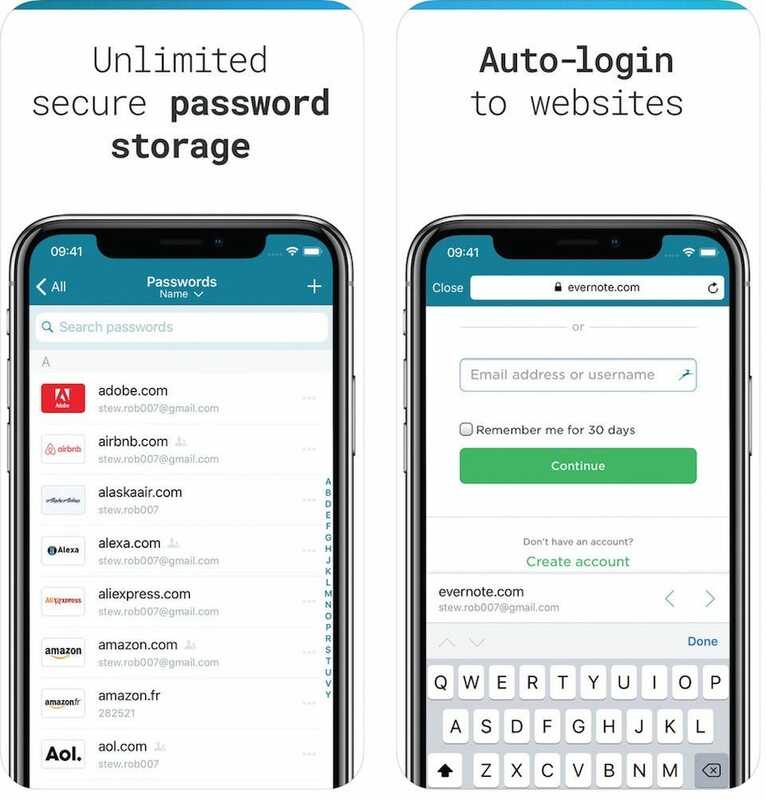 For the single user, there’s unlimited password storage, as well as auto log-in functionality for any site you regularly use. Strong and effective passwords can be created within seconds, keeping your data secure. TouchID, FaceID, and passcode support is included. Besides storing your passwords and usernames, Dashlane also stores your credit cards, ID, and passport. Sure, your passport details might not be as commonly needed as a password, but it’s handy to know it’s there just in case. For $40, the Dashlane Premium service has syncing across multiple devices, unlimited password sharing, and support for authentication with YubiKey. For most users though, the free version will do everything you need. It’s available for Android, iOS, and desktop formats. On the surface, 1Password looks like a lot of other password management apps. It’s available for nearly every device imaginable, including Android and iOS. There’s the usual password generator, the ability to store unlimited passwords and usernames, as well as the ever useful “auto fill” option. It’s the details behind 1Password that makes it stand out. It’s possible to store items within different categories, as well as different vaults. That way, you can keep certain parts of your life away from others — such as storing work passwords away from your personal information. Custom fields can be included, adding information such as security questions or relevant URLs. A search feature makes it simple to track down the information too. As well as that, through integration with many popular apps such as Twitter and Tumblr, it’s possible to sign in to supported apps on your iPhone or iPad in a single tap, saving you precious seconds. The app is initially free with a $36 annual subscription giving you the full set of features. Roboform won’t win prizes for its looks—it’s pretty rudimentary—but it gets the job done. It’s entirely free with the option of a $20 a year subscription plan if you want to use it across multiple devices, such as Android, iOS, PC, and Mac. For free, it does exactly what you need. It stores all your passwords, autosaving new ones as you use it more. There’s auto login support for over a hundred popular supported apps, covering most of your favorites. There’s also PIN, TouchID, and FaceID options available, depending on how you prefer to log in. There’s an effective password generator too, with sliders affecting how complex you want the result to be. It’s hard to find fault in something that’s so straight forward and inexpensive. Like some of the best apps, it just works. 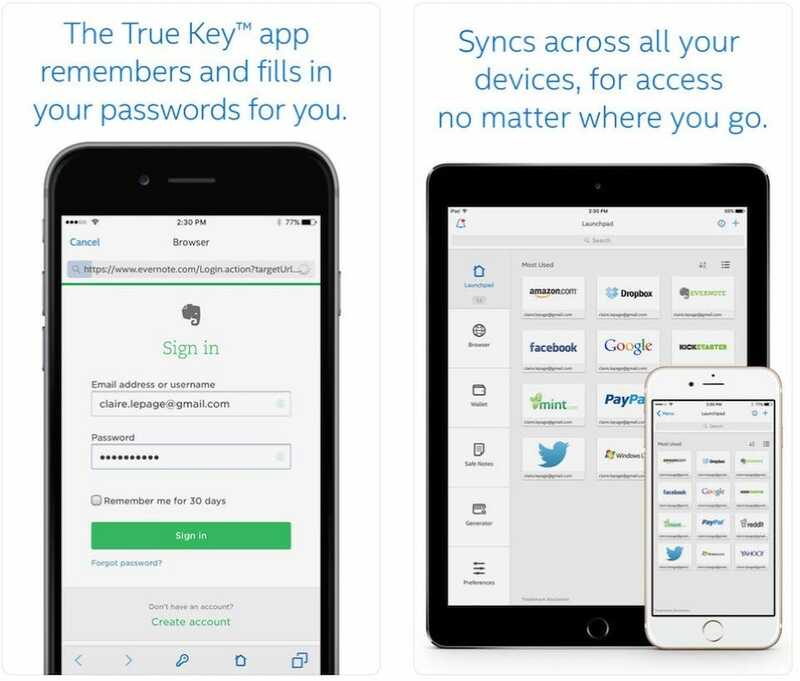 True Key is an app for Android and iOS from Intel, so it has a far better pedigree than the random password managers you’ll find all over the various app stores. Ultimately, it works a lot like the others. Your data and passwords are safely secured behind a passcode, TouchID, or FaceID. 2nd device authentication is an added factor to keep things extra safe. The app remembers all the passwords you provide it with, syncing across all your devices, including PC and Mac. The real bonus? It’s entirely free. There’s no subscription fee to pay to gain full syncing functionality. Other than that, it’s a little basic right now, but new features in the future have been promised.